Racial profiling has been a constant in the news in recent months, thanks to revelations and lawsuits about the New York Police Department’s stop-and-frisk policy and Muslim surveillance program. Most recently in New York, the American Civil Liberties Union is seeking an injunction to put the surveillance program, in place since 2001, on hold while it is being challenged in court. Despite damning and well-publicized revelations, an attorney for the city denied the very existence of such a program saying he would “100 percent disagree that there was ever a Muslim surveillance program. This outrageous statement is just the latest in an ongoing saga with the NYPD. But the problem of racial profiling exists in communities well beyond the five boroughs. The issue is even getting attention internationally. This month, a French judge threw out cases brought by 13 Black and Arab men who accused police of public identity checks and pat downs, without further police action or charges. A 2009 study conducted by French researchers and the Open Society Justice Initiative found that Arabs and Blacks in France were as much as eight times more likely to be stopped than whites. 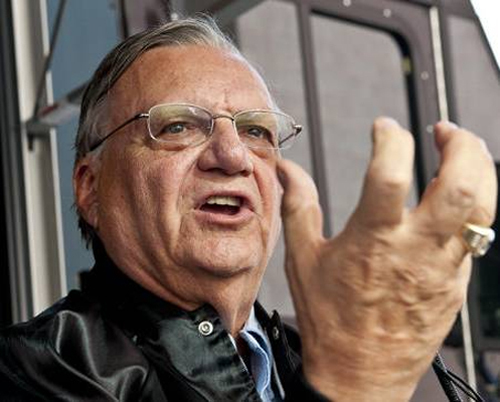 Stateside, a federal judge in Arizona last week ordered far-reaching limits on Sheriff Joe Arpaio and the Maricopa County Sheriff’s Office to prevent future profiling of Latinos in Arizona. The restrictions call for data collection and video recording of every traffic stop and increased training for and monitoring of Sheriff’s office employees. The order also includes an appointment of a monitor and community advisory board in an effort to heal the MCSO’s image and relationship with the community. The decision is a result of a class-action lawsuit, brought in part by the American Civil Liberties Union, that challenged years of discriminatory and unconstitutional practices and policies under Arpaio’s direction, previously examined by the Supreme Court. Law enforcement agencies in Connecticut and Washington are implementing recording strategies similar to the new standard in Maricopa County, with a new policy in Spokane, Wash., requiring officers to report every contact, not just traffic stops. Meanwhile Massachusetts lawmakers are considering broadening existing recording policies. Despite these limited instances of reforms, profiling remains a staple practice of law enforcement agencies across this country and others. It is crucial to push for increased reporting and overall improvements in policing practice. Individual records of police contact may not be of much use on their own, but the collection and analysis of thousands of records can be key to understanding how race factors into daily policing practices. Requiring officers to collect data on race may not necessarily stop them from profiling altogether, but it can help improve an agency’s transparency, increase accountability, and spot abuses. via Lawsuits & Court Rulings Spark Racial Profiling Reform | IMAGINE 2050.